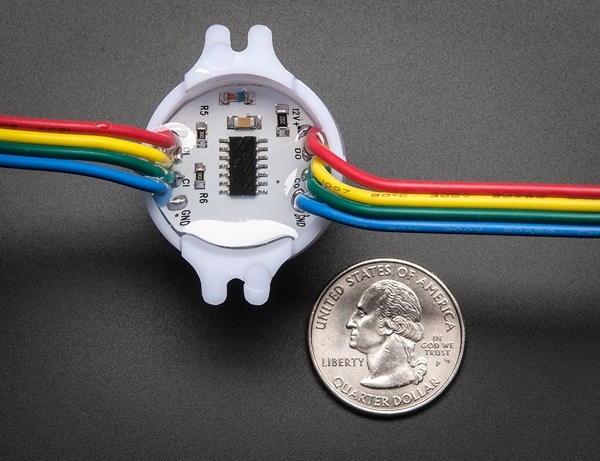 NEW PRODUCT – 30mm Dots – 12V Digital RGB LED Pixels (Strand of 20) [WS2801] « Adafruit Industries – Makers, hackers, artists, designers and engineers! NEW PRODUCT – 30mm Dots – 12V Digital RGB LED Pixels (Strand of 20) [WS2801]. 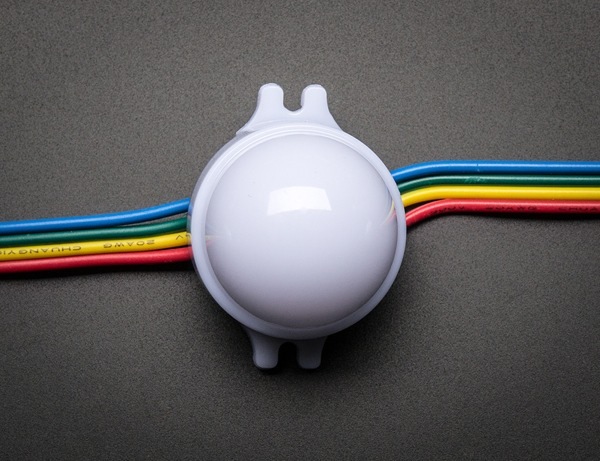 RGB Pixels are digitally-controllable lights you can set to any color, or animate. 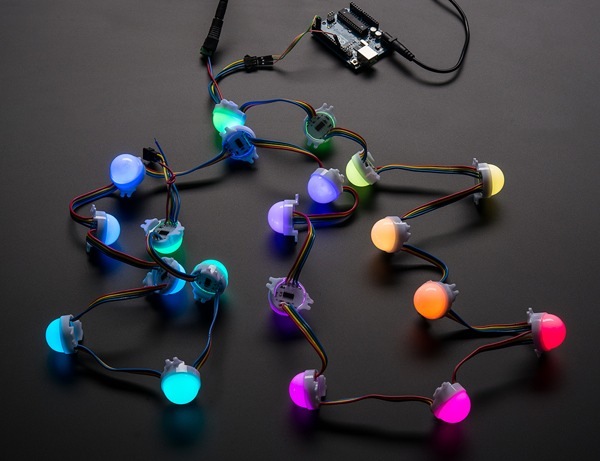 Each round ‘pixel cluster’ contains 3 RGB LEDs and a controller chip soldered to a PCB. The pixel is then encased in a translucent white ‘dot’ to make it weatherproof. These are fairly large pixels but they are easy to mount, with two plastic flanges. They’re typically used to make outdoor signs. Compared to our other LED dots, these are much bigger and much brighter, good for larger scale installations. The pixels are connected by a 4-conductor cable. +12VDC, ground, data and clock. Data is shifted down from one pixel to the next so that you can easily cut the strand or attach more onto the end. Each dot is digitally controlled, with an internal 8-bit PWM LED driver (24-bit color for 16 million different shades). The pixels must be clocked by a microcontroller, we have an example code linked below that works on an Arduino, it should be simple to adapt it to any other microcontroller.